578,000 people came into the UK last year with a massive increase in non EU nationals. Remainer lies about EU immigration falling off a cliff have been proved totally false with only a fall in 5% in EU numbers coming in but there are still far more EU citizens staying than going. 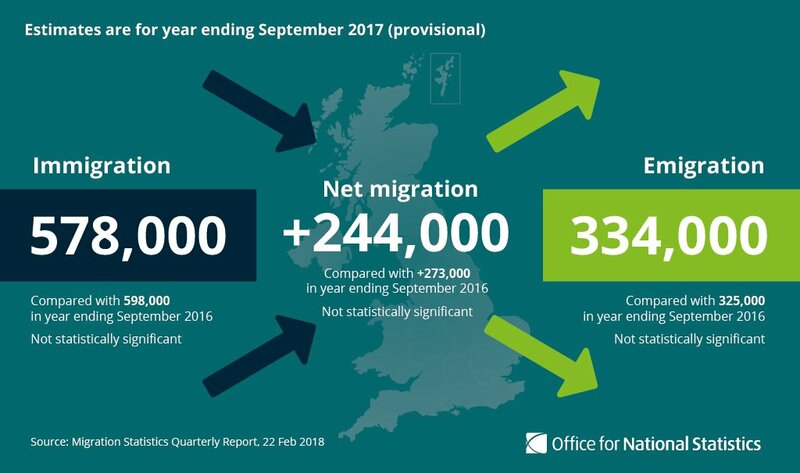 Net Migration still stands at 288,000 people a year, the Tories were elected on a promise to get this into the tens of Thousands. Do you agree this is ridiculous and unsustainable? Sign up here now! Read: "SHOCKING: Lords vow to ‘FRUSTRATE’ Brexit process!"